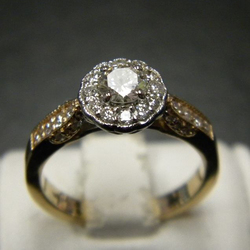 This lovely lady transformed a ring and a pendant jacket from her Mother into one amazing ring. 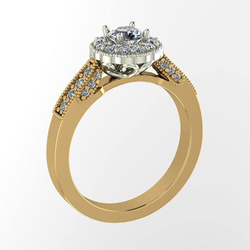 We looked at different styles and she chose the best features from each; the shape of the halo, how the diamonds were set in the side and the antique styling of the ring itself. These three different ideas merged into this one beauty. Scroll through and see the before images, the computer generated renderings and, of course, the final result! Enjoy! The before picture. We used the seven diamonds in the pendant jacket in the halo and added extra to surround the diamond. 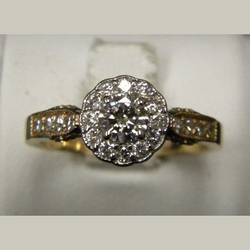 The eight small diamonds in the ring were set four on each side of the center. First is a computer generated image of all our ideas merged into one ring. Once the initial sketch was done and the images shared with the craftsman, he uses all information, including the precise size of each stone ,in all calculations to create the image. (Yes, it really does involve math!) The second is also a computer generated image, more true to color, and easier to envision. Wow! 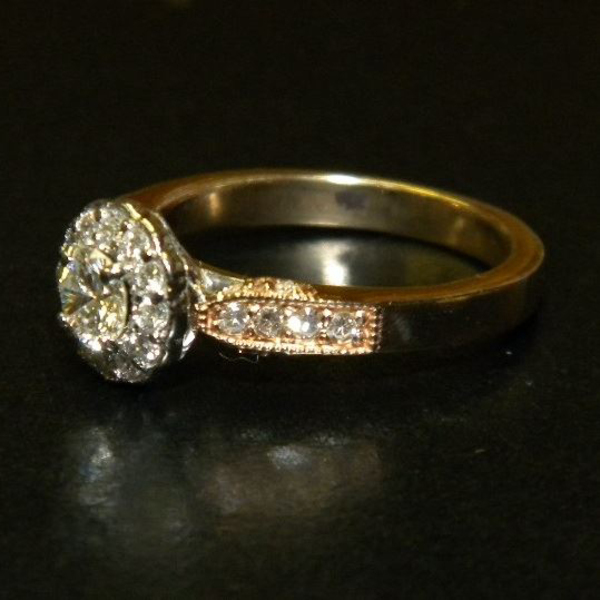 The center diamond, seven of the halo diamonds and eight down the shank are all the client's original stones. 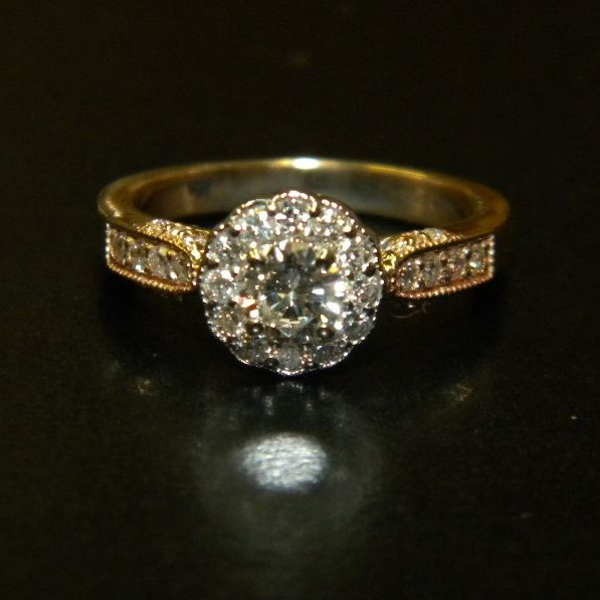 We added extra to surround the center plus the added small diamonds on the sides of the ring. The antique finish on the edges of the metal is called milgrain. It looks like tiny beads and was done by hand. Love the view from the side with the small heart shaped undercarriage. It's pretty from every angle. The angled view shows the shape of the halo head. 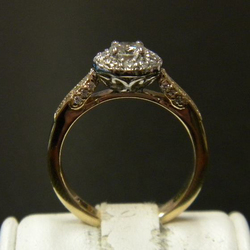 The antique styling continues in every aspect of the ring. 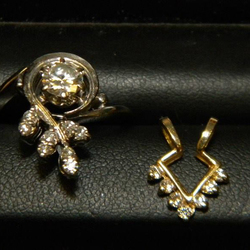 Bring your old, unworn jewelry to Diana Jewelers of Liverpool, NY today! 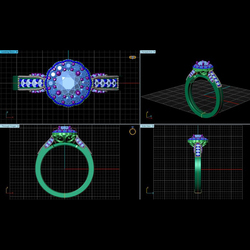 Check out our Custom Design Gallery for inspiration, and let our friendly, trained staff guide you through the process of creating the jewelry item you've always dreamed about!